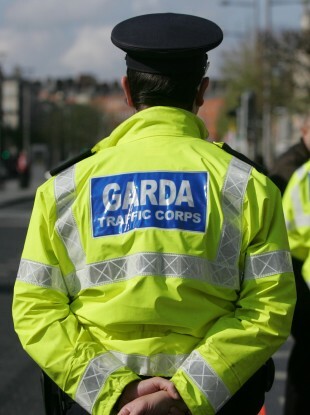 This was one of the trends seen in the Garda Recorded Crime Statistics 2006 – 2010, which also showed a detection rate of 99 per cent for controlled drug offences and road and traffic offences. THE LATEST STATISTICS on crime in Ireland have been released – and show high increases in the number of sexual offences and robberies in the country between 2006 and 2010. Garda Recorded Crime Statistics 2006 – 2010 was released by the Central Statistics Office (CSO) today. It shows that the offence groups with the highest percentage increases between 2009 and 2010 were sexual offences, which increased by 51 per cent, and robbery, extortion and hijacking offences which increased by 28 per cent. However, the CSO said that the rise in the number of recorded sexual offences in 2010 was mainly due to an on-going review of all such alleged cases reported to An Garda Síochána. Some will have occurred in the past but are represented on the date of reclassification. Between 2009 and 2010, homicide offences increased by 2 per cent. There were 90 recorded and 75 detected homicides in Ireland in 2010, compared with 138 and 121 respectively in 2006. The biggest drop in 2010 from the year before was seen in both dangerous or negligent acts and road and traffic offences. Both of these categories saw a drop of 11 per cent between 2009 – 2010. Theft and related offences and fraud, deception and related offences saw no change, while weapons and explosives offences increased by 1 per cent between 2009 and 2010. Between 2006 and 2010, attempts/threats to murder, assaults, harassments and related offences went up by 13 per cent, and kidnapping and related offences went up by 59 per cent, while robbery, extortion and hijacking offences rose by 28 per cent. In the same time period, burglaries and theft went up by 2 and 3 per cent respectively; fraud and deception went up by 19 per cent; controlled drug offences went up by 40 per cent; and weapons and explosives offences went up by 31 per cent. Also from 2006 – 2010, there was a drop in 10 per cent in damage to property and the environment, while public order and other offences went down by 3 per cent. Road and traffic offences went down by 6 per cent. Offences against the Government, justice procedures and organisation of crime rose by 20 per cent between 2006 and 2010. The crimes with the largest numbers were dangerous or negligent acts (225,005 recorded, 222,937 detected) and road and traffic offences(273,88 recorded, 270,951 detected). According to the figures, while 24,794 burglaries were recorded, 5,404 were detected. While 43,87 examples of damage to property and to the environment were recorded, 8,986 were detected. There were 1,405 recorded incidents of sexual offences, and 809 such incidents detected. In 2010, the detection rate was high for crimes such as controlled drug offences (99 per cent); dangerous or negligent acts (100 per cent); weapons and explosives offences (90 per cent); and road and traffic offences (99 per cent). It was lower for crimes such as sexual offences (54 per cent); fraud, deception and related offences (51 per cent); and burglary (25 per cent). There is little change in the detection rates of most offence groups between 2009 and 2010, apart from the detection rate for kidnapping and related offences, which rose from 49 per cent in 2009 to 62 per cent in 2010. Offences in the homicide group had decreased every year in the time period 2007 to 2009, before the increase of 2 per cent in 2010. Males aged less than 25 years old accounted for one half of those convicted in relation to homicide offences recorded in 2010, while no females were convicted for these offences. The Dublin Metropolitan Region was the highest for recorded murder/manslaughter/infanticide offences with 2.5 recorded offences per 100,000 persons. In 2010, sexual offences had a detection rate of 54.5 per cent, with 1,273 offences detected. The majority of these offences were sexual assault (not aggravated) offences, with 1,507 recorded in 2010. There was a detection rate of 54.7 per cent for these offences in 2010. No females were convicted for sexual offences in 2010. With regard to robbery, extortion and hijacking offences, over 15 per cent of persons convicted for offences recorded in 2010 within this group were less than 18 years old. With fraud, males constituted 80.1 per cent of all persons convicted, while 58.3 per cent of persons convicted were aged from 25-44. Males aged less than 25 years old represented 46.5 per cent of all those convicted for controlled drug offences in 2010. Meanwhile, prostitution offences increased from 107 to 204 from 2006 – 2010. In 2010, the southern region was the Garda region with the highest per-population rate for disorderly conduct offences, with 1,265 being committed per 100,000 people. Males were responsible for 81.6 per cent of the roadworthiness/regulatory offences under road and traffic offences. In 2010, the south eastern region had the highest rates for driving licence/insurance offences (ICCS 141), while the western region had the highest rate for tax/registration offences. Email “New figures show increase in sexual offences and robberies ”. Feedback on “New figures show increase in sexual offences and robberies ”.